Law enforcement agents will agree that serving the community is a rewarding experience. Helping to lock away criminals, to solve crime, and to have the opportunity to turn around the life of someone else are all pluses that come with the profession. However in all of this, stress is also a normal factor. As an officer you operate at a heightened level of awareness and offensiveness practically every day compared to the average person. That coupled with preexisting or developing personal issues can cause your well being to crumble without others even noticing. Figuratively, as a police officer you have an obligation to keep the health of your community in check but what about you? Police safety while on the job and your personal safety and health should always stay in check, but you probably find they often are neglected. Your uniform may be tailored and pressed just right but inside you might feel that some things are amiss in your own life. So how do you minimize stress or deal with trauma? How do you balance your work load and personal life? How do you take care of yourself mentally, physically and emotionally while working in a stressful profession? As a police officer you may not even know your mental and physical states have deteriorated until it’s almost too late. Society needs help but so do you and seeking help does not mean that you are weak. Seeking help to manage stress or trauma in your life actually makes you a stronger, more efficient, more effective officer. It also makes you a more loving friend and family member, and creates a better you. One of the places you can start is to write down areas that you feel need improvement, then write down areas others say need improvement in you. Are there negative stresses in your life that can be reduced or eliminated? Write down a realistic plan of action to tackle those stresses. For example, this plan of action could start by you just talking with someone you trust. Do you have trauma that you need to deal with? Do you find yourself dealing with that trauma by having just one drink too many when you get home? Again, these are areas you can talk out with someone you trust but when it comes to trauma getting professional help is a good decision and strongly advised. If you choose this route, make sure that your privacy as a police officer is maintained during that process so if issues arise that might affect your career; they can be handled in a proper manner. Privacy for police when it comes to areas of their personal life is a sensitive topic that should be handled with care by a professional. Are you not spending enough quality time with your family or friends? Find innovative and creative ways to make the most of the time you have with your family. It may be that instead of going to a movie, you find activities that are interactive and encourage more communication. Then what about your personal health? Are you eating too much or not eating enough? Are you exercising too much or perhaps not enough? How’s your sleep and is deprivation zapping your energy and affecting your moods? Or do you find yourself wanting to sleep too much? You may want to consult with a nutritionist or a doctor to address these areas and get on a program that will work for your body and with your schedule. No matter what, never neglect the most valuable person in your life which is you. If stress or trauma has overtaken your life, know it doesn’t have to any longer. 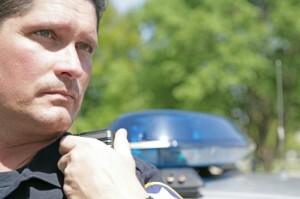 Being in law enforcement can affect your life but it doesn’t have to control it. You have chosen a noble and worthy profession and the key is to allow not so much the profession to be the center of your life but to strive to balance your life in all areas. This entry was posted in Uncategorized and tagged california, police privacy, police protection, police safety, police saftey, police stress, police trauma, privacy, privacy data, privacy for cops, privacy for police, privacy protection. Bookmark the permalink. Hello! Thank you for your blog! Frankly speaking I have never come across anything that cool.